Rheinmetall has today announced a partnership with Melbourne-based defence systems integrator Tectonica Australia Pty Ltd for the development and manufacture of a sophisticated Local Situational Awareness System (LSAS) for the BOXER Combat Reconnaissance Vehicle (CRV) in response to the Commonwealth of Australia’s LAND 400 Phase 2 Request For Tender. 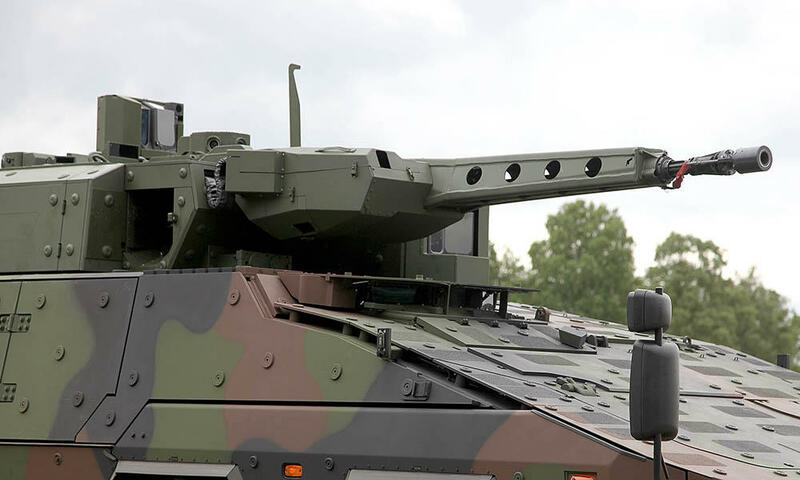 Rheinmetall Defence Australia Managing Director Andrew Fletcher said Rheinmetall would provide funding and support to Tectonica to develop and manufacture a next generation LSAS that enhances the situational awareness of the BOXER CRV. The battle proven BOXER 8×8 provides a unique mix of survivability, mobility and lethality that allows the vehicle to operate effectively across the full spectrum of combat operations. 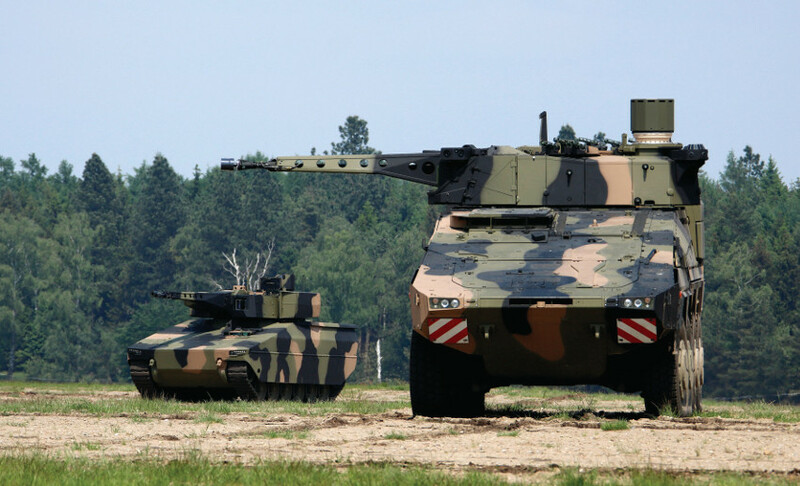 If selected for LAND 400 the BOXER CRV will provide the Australian Army with a combat proven, low risk capability that can be rapidly transitioned into service and easily supported through life. “Rheinmetall is delighted to partner with Tectonica, a proven leader in the Australian Defence industry that employs highly skilled engineers and manufacturing workers, invests significantly in research and development and exports its products globally,” Mr Fletcher said. Mr Fletcher said Tectonica was among 300 companies that met with Rheinmetall executives through June and July as part of its comprehensive supplier engagement activity in Melbourne, Sydney, Brisbane, Darwin and Adelaide. 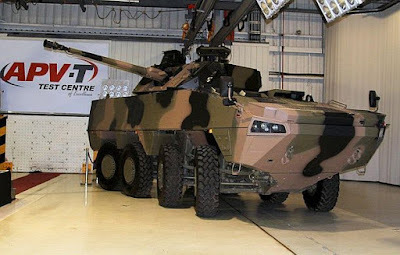 In the event BOXER is selected as Australia’s CRV under LAND 400 Phase 2, Tectonica will manufacture the LSAS and Rheinmetall will offer it for export through its global supply chain, ensuring ongoing local support for the Australian Defence Force (ADF) whilst securing Australian jobs. “We are pleased to have this opportunity to provide a vital situational awareness capability to the ADF in partnership with a world leader in armoured vehicles,” said Tectonica Managing Director David Levy. The President of Rheinmetall’s Combat Platforms Business Unit, Ben Hudson, said the company was committed to the creation of an enduring Australian capability beyond the minimum LAND 400 Australian Industry Capability (AIC) requirements and the application of Australian technology for global requirements. “Tectonica has provided an innovative proposal that will dramatically increase the situational awareness of the BOXER CRV crew and we see potential application not only to the BOXER CRV but also to our wider family of military vehicles in-service around the world,” Mr Hudson said. SERANG, BANTENDAY.Com – Direktorat Jenderal Strategi Pertahanan (Dirjen Strahan) Kementrian Pertahanan (Kemenhan), Raja Harahap meminta Pemerintah Provinsi (Pemrov) Banten menyediakan tempat latihan TNI Angkatan Laut (AL) di wilayah Perairan Selat Sunda. Jumat 29 Juli 2016. Terlebih, Banten ini merupakan daerah yang memiliki luas wilayah pesisir dan laut yang mencapai 11.134,22 kilometer persegi. “Tempat latihan ini perlu agar TNI AL dapat semakin meningkatkan profesionalime prajuritnya,” kata Raja Harahap kepada awak media, Kamis 28 Juli 2016 kemarin. Terkait dalam permintaan ini, Kementrian Pertahanan bakal melayangkan surat izin kepada Gubernur Banten, Rano Karno. Nantinya di sekitar perairan yang digunakan sebagai tampat latihan itu, masyarakat dilarang untuk beraktivitas menangkap ikan di wilayah latihan. “Dalam pelatihan ini, untuk tempatnya kami akan lihat petanya terlebih dahulu,” pungkasnya. The BRP Tubbataha, an MRRV-4401, will leave Yokohama on August 11, and will arrive at the Port of Manila on August 18. It will be formally turned over by the Japan International Cooperation Agency to the Philippine government on September 1. The 44-meter vessel was built at the Japan Marine United Corporation Yokohama Shipyard. 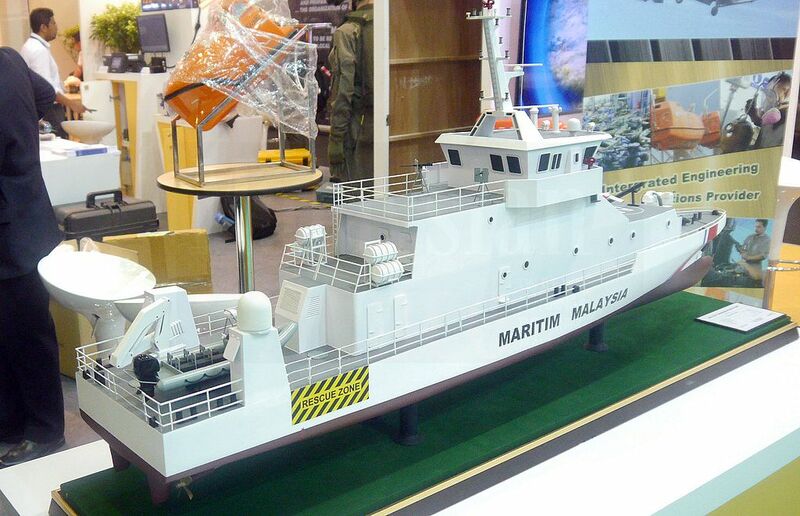 In a statement, the PCG cited BRP Tubbataha’s special features will be specially helpful in operations. They include fire monitors, night vision camera, radio direction finder, a work boat, and the bullet-proof navigational bridge. Here are the ship’s particulars, according to the PCG: Length: 44 meters, Breadth: 7.5 meters, Depth: 4 meters, Engine: MTU12V4000M93L, Output: 2,580 kw, Max Speed: Approximately 25 knots, Cruising range: 1,500 nautical miles, Complement: 25 persons. 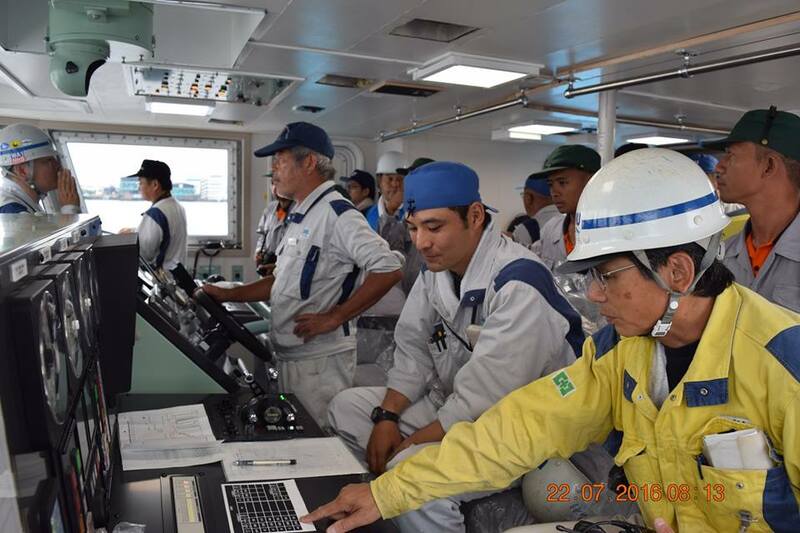 The Japanese Coast Guard has also conducted sea drills with its Philippine counterpart since their two countries signed a Declaration for a Strengthened Strategic Partnership and its Action Plan in June 2015. ALOR SETAR: The Royal Malaysian Airforce yesterday received five Pilatus PC-7 Mk II aircraft and three EC 120B helicopters which will be used to train its pilots. Defence Minister Datuk Seri Hishammuddin Tun Hussein said the new assets would be placed at the Air Force College (KTU) Kepala Batas, here. 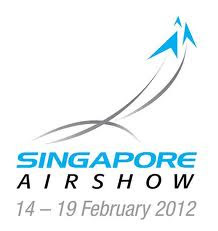 “The addition of the new flight training assets will improve the efficiency, ability and effectiveness of RMAF in defending the security and sovereignty of the nation’s air space,”he said. He was speaking to the media after attending RMAF’s Hari Raya celebration and launching both air assets at KTU here, yesterday. 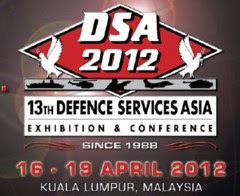 Also present were Kedah Menteri Besar Datuk Seri Ahmad Bashah, Deputy Defence Minister Datuk Seri Johari Baharum and RMAF chief General Tan Sri Roslan Saad. Hishammuddin said the acquisition of the new aircraft, making the total Pilatus PC-7 Mark II owned by RMAF to 21, which were received in stages since 2007 to replace the former Pilatus PC-7 which has been used for 33 years. The PC-7 MK II is powered by Pratt & Whitney PT6A-25C turboprop engines which is able to produce as much power as 700hsp. 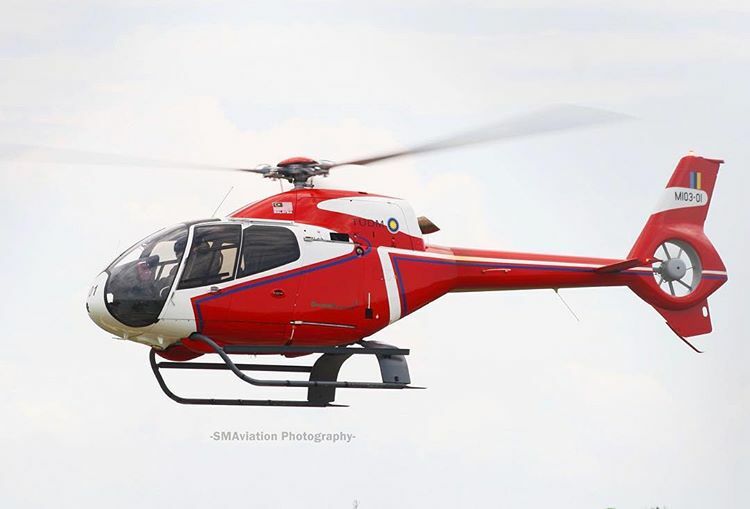 The single engine EC 120B helicopters were acquired to replaced the former Alouette III helicopters, specifically to give early exposure to the pilots on the operation of the new generation of advanced helicopters. 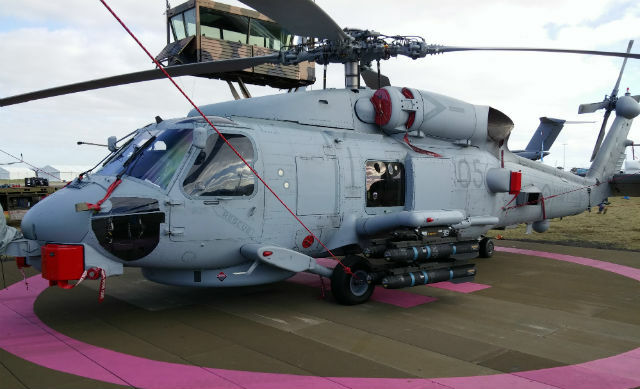 Weighing at 1.7 tonnes, the helipcopter which is capable of ferrying four passengers, is equipped with advanced technology that simplifies operations, is safe and cost effective. 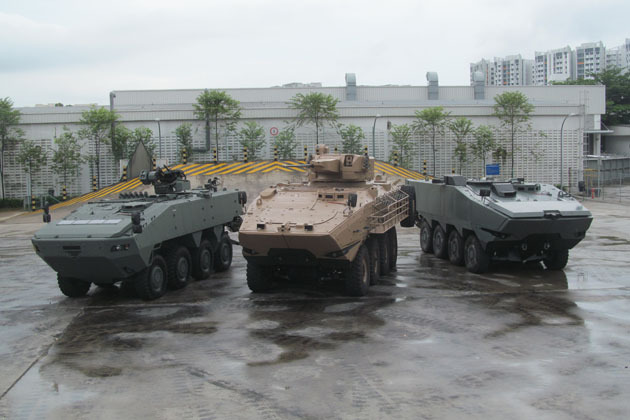 Singapore company Singapore Technologies (ST) Kinetics, a division of the state of ST Engineering, sptsializiruyuscheesya in armored vehicles, is seeking to expand its presence in the international market of armored 8x8, offering a family of wheeled infantry fighting vehicles (IFV) TERREX, which currently includes three different platforms with a weight ranging from 24 to 35 tons. Leaders of ST Kinetics argued during closed the press conference, which was held on July 22 during which were first shown together all three of the current family car Terrex - that successive company's efforts to improve the machines will allow them to meet the growing demands of international customers. 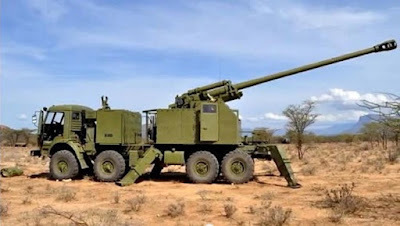 Toh Winston (Winston Toh), executive vice president and chief marketing officer ST Kinetics, said that the machines 8x8, some have already expressed interest in the Middle East, and North and South America. However, they are already participating in the tender for the project of the Australian Army Land 400 Phase 2 program in the United States Marine Corps Floating combat vehicle, stage 1 substage 1 (ACV 1.1). In addition, during the press conference, a representative of ST Kinetics, said the company is considering the possibility to take part in the planned UK tender for mechanized infantry MIV (Mechanised Infantry Vehicle). "We have a different business model to meet customer requirements," explained Toh. "For example, we are the manufacturer of the machine, but we assure [our partners] design and technical capabilities for the production of the organization in their country ... to help manage the cost and risk to the customer on their own." 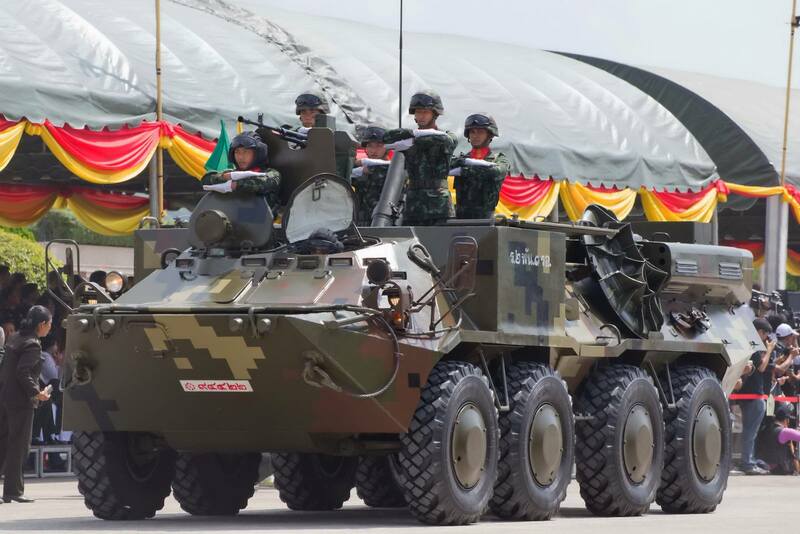 Toh acknowledged that while the Terrex has yet to make a breakthrough in the Asia-Pacific region outside Singapore, ST Kinetics has used its experience with TERREX to provide technical advice to the Thai Defense Technical Institute (DTI) to create a local 24-ton armored Black Widow Spider 8x8, generated for the Royal Thai army (RTA). Bandung – Senin, 25 Juli 2016 pukul 10.00 wib s.d. 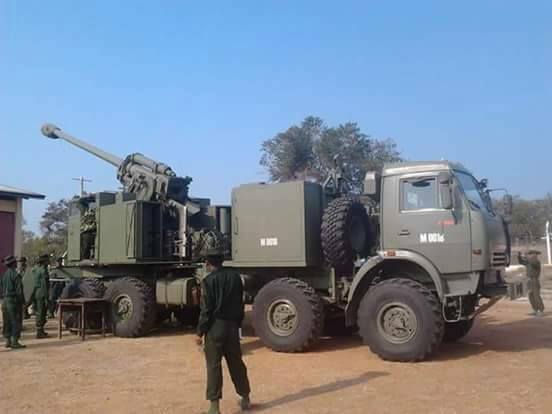 selesai dilaksanakan Presentasi Meriam GS Nora-B52 155 mm Howitzer buatan Serbia oleh PT. Esefa Krida bertempat di Meeting Room Hotel Aston Primera Pasteur Bandung dengan pimpinan acara Danpussenarmed Kodiklat TNI AD Brigjen TNI Yudi Satriyono, S.H. 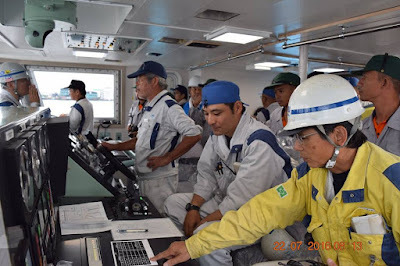 As the largest ship of the CSB, 7011 the ship is responsible for transporting oil and fuel supplies, technical supplies, logistics for ships operating at sea. 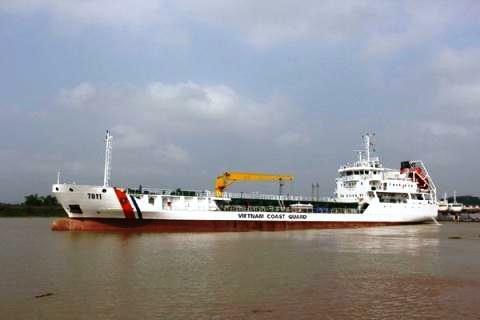 27/7 days, after the 7011 CSB ship journey from Hai Phong Port to Port Marine Police Region 3 BTL has landed safely. Train carrying children H222 is denoted transports synthetic biggest force Vietnam Marine Police. 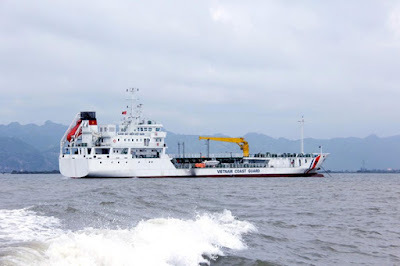 According to the published information, CSB 7011 vessel of Vietnam Coast Guard has the greatest length of nearly 90 meters, the largest width near 14m, alongside about 6,25m height, approximately 4.5 m draft vessels. The vessel has a gross tonnage of 2,900 tons full load of water stretch out 4,300 tons, maximum speed of 13.5 knots / h, a range of 6,000 nautical miles, continuous operation time up to 60 days at sea night and withstand waves, wind levels 9-11. 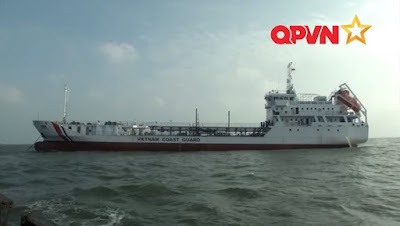 CSB 7011 vessel is designed for transportation of oil and mission to provide fuel, fresh water, food - food, supplies and engineering - logistics for ships operating at sea as well as for the islands and the rig. Carrying capacity and fuel supply, fresh water of ships of up to 2000m3 and 500m3 of fresh water and oil. The possibility of international shipping and logistics: about 300 tons of dry cargo, refrigerated cargo of 30 tons; vegetable kinds about 80 tons. 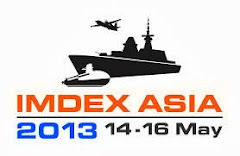 In addition the system also arranged vessel examination room, first aid, treatment of military medical service of technical and repair shop serving ensure technical repair service for small and medium. 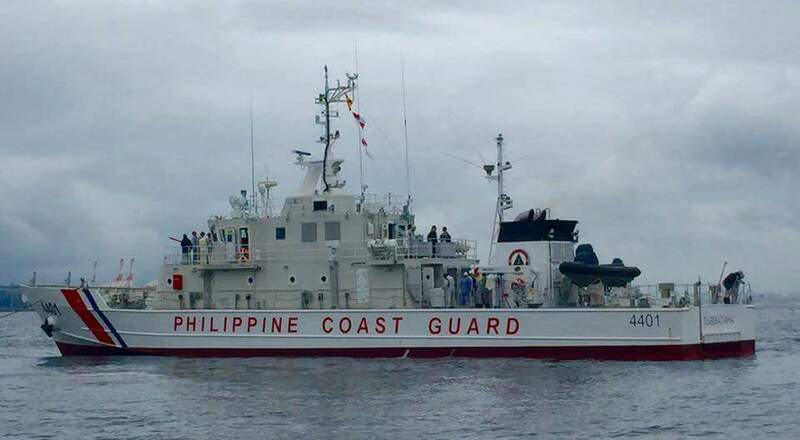 In addition, CSB 7011 vessel is also tasked to assist fishermen offshore fishing may in some days (oil supply, fresh water, supplies and minor repairs); participate in coordinated patrols, search and rescue, environmental protection, national security and maritime other work as required. In addition, the ship is equipped with a 18m long crane systems, crane could be 5 tons of cargo tonnage resupply at sea. 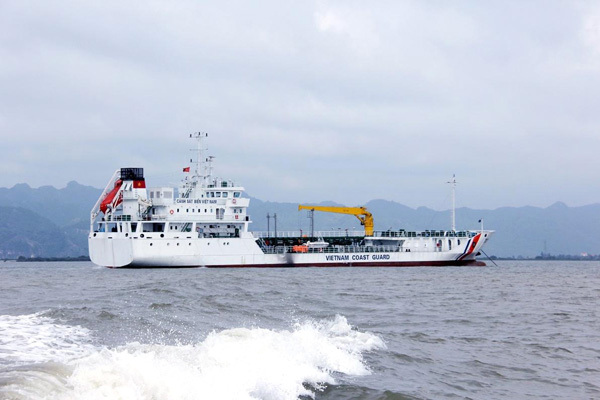 It is one of seven modern vessels are Government investment in the Coast Guard Force program Resolution 72/2014 / QH13 of the National Assembly XIII, in order to enhance the capacity of law enforcement to force officials Vietnam's sea power required before promoting economic development associated with enhanced marine protection maritime sovereignty in the new situation. Vessel construction contracted newbuilding on 11/26/2014 day. Tau cross fire boat is equipped with fire-fighting capabilities, will bring sailor crew plunged into the ocean in the event of a fire. 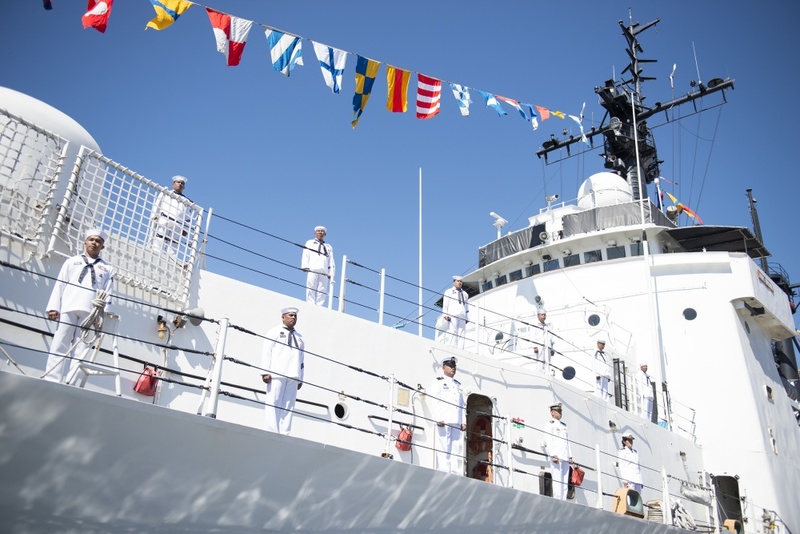 The Vietnam Coast Guard put to use multi-functional transport ships, to modern marine oil will help strengthen the capacity of law enforcement time and maintain a better presence of the maritime boundary Landscape fleet Coast Guard. Korea and the United States held their first high-level talks in Washington, Tuesday, on the transfer of jet technologies for Seoul's project to develop its own fighter jets. 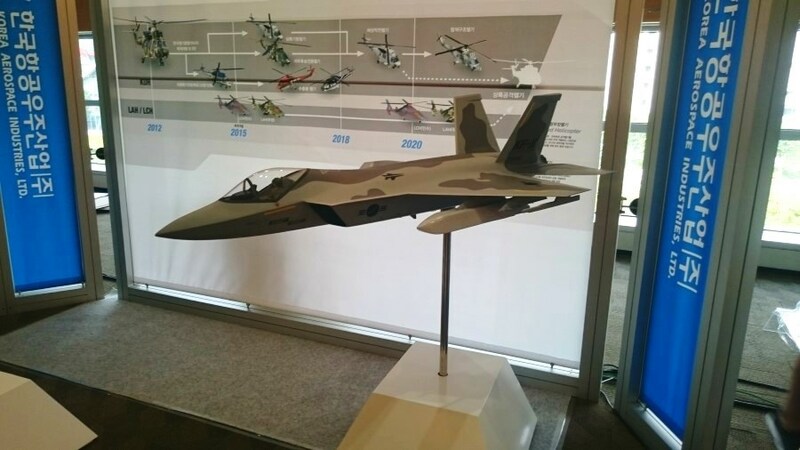 The Ministry of National Defense said the two sides discussed the vital intersection of foreign and national security policies on defense technology cooperation, including issues related to the transfer of technologies for the KF-X project. It was the first high-level meeting of the Defense Technology Strategy & Cooperation Group (DTSCG), which followed the group's working-level talks held in March. The DTSCG was established last year based on an agreement between defense chiefs of the two nations. During Tuesday's meeting, the Korea delegation, led by Vice Defense Minister Hwang In-mo and Deputy Foreign Minister for Economic Affairs Lee Tae-ho, stressed the need for the transfer of key technologies from the United States for the success of the KF-X project, according to a ministry official. In response, the U.S. delegation, led by David Shear, assistant secretary of defense for Asian and Pacific security affairs, and Rose Gottemoeller, undersecretary of state for arms control and international security, said the two sides will continue to discuss the issue, the official said. The official added that details about which technologies will be transferred were not determined during the meeting. The joint press release of the two sides also said, "The U.S. delegation provided an overview of its conventional arms transfer and regional defense trade policies." The release added that the two sides concurred on the need for regular information-sharing on relevant issues and decided to continue to utilize the DTSCG to advance policy and strategic discussions on technology security, foreign policy and defense technology cooperation in support of the ROK-U.S. alliance. 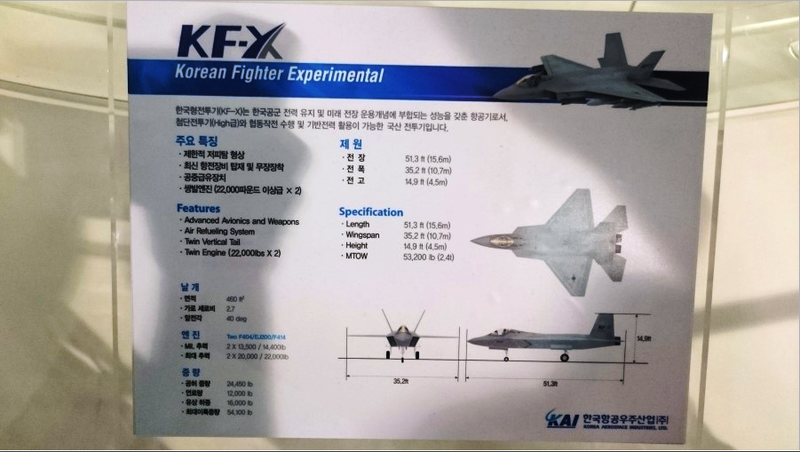 The 8.5 trillion won KF-X project is to replace the Air Force's aging fleet of F-4s and F-5s. The government will invest an additional 10 trillion won to produce 120 jets by 2032. The project is proceeding with the help of the U.S. defense company, Lockheed Martin, which vowed to transfer technologies used in the F-35 stealth fighter in return for Korea's purchase of 40 F-35s, signed in September of 2014. 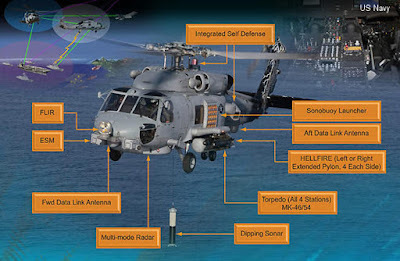 In early December, the U.S. government approved the transfer of 21 technologies in a "large frame," according to the Defense Acquisition Program Administration (DAPA). Since then, negotiations between DAPA and Lockheed Martin officials have been ongoing to list the details, as hundreds of technical items are part of 21 technologies. Before its official kickoff in January, the KF-X project had suffered a severe crisis after the U.S. government refused in April of last year to allow the defense firm to hand over four core technologies — the active electronically scanned array radar, electronic optics targeting pod, the infrared search and radio frequency jammer and the infrared search and tracking system. The DAPA said the nation will domestically develop those four technologies. During the meeting, the Korea delegation also asked the United States to give it technologies related to the development of the medium-altitude unmanned aerial vehicle (MUAV), the official said. Washington said that was being considered added. The two sides plan to hold the next DTSCG high-level talks in 2017, according to officials. On the sidelines of the defense talks, Hwang met Deputy Secretary of Defense Robert O. Work to discuss views on extended efforts between the two allies to cope with ever-growing nuclear and military threats from North Korea, according to the ministry. 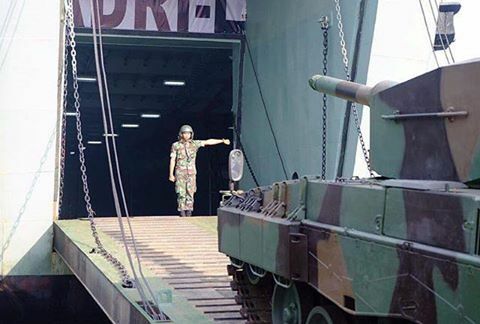 Kepala Staf Angkatan Darat (Kasad) Jenderal TNI Mulyono menerima penyerahan pesanan TNI Angkatan Darat berupa sebuah Kapal pendarat serbaguna 1200 Dead Weight Tonnage (DWT) yaitu KM ADRI -L di Galangan II PT. Dok Kodja Bahari Tanjung Priok, Kamis (28/7). Acara di awali penyerahan dan penandatangan naskah serah terima ADRI-L, dari PT. Dok dan Perkapalan Kodja Bahari (persero) kepada TNI AD untuk memperkuat Direktorat Perbekalan dan Angkutan Angkatan Darat (Ditbekangad) dengan Yonbekang-4/Air selaku pengguna kekuatan alat angkut air di jajaran TNI AD. Dirut PT DKB (Dok dan Perkapalan Kodja Bahari) Ir. SA.Bandung Bismono pada sambutannya menyampaikan suatu kehormatan bagi PT DKB dapat membangun alutsista pendukung yang digunakan TNI Angkatan Darat sebagai garda terdepan untuk mempertahankan negara. Pada sambutannya Jenderal TNI Mulyono menyampaikan terima kasih kepada Dirbekangad dan Direktur PT. DKB yang telah bekerja keras menyelesaikan kapal ADRI-L. Selanjutnya Kasad menyampaikan pembangunan Kapal ADRI-L ini didasari oleh luasnya wilayah perairan Indonesia dan kebutuhan alat angkut air untuk mendukung tugas-tugas TNI Angkatan Darat. 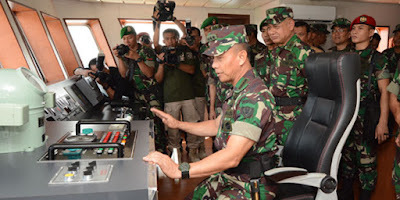 Namun upaya ini tidak bertentangan dengan kebijakan interoperabilitas yang dicanangkan oleh Mabes TNI terkait dengan kerjasama antar angkatan. Dalam konteks penggunaan (manuver dan operasi), TNI AD tetap akan memprioritaskan sarana angkut milik TNI AL. Sedangkan dalam konteks pembinaan dan operasi matra darat, kapal ADRI-L dimanfaatkan untuk mendukung tugas-tugas pokok TNI AD, seperti pelaksanaan gelar pasukan, dukungan logistik maupun sarana transportasi pasukan dan angkut materiil ke seluruh pelosok tanah air. TNI AD tetap memperhatikan dan memprioritaskan interoperabilitas dan sinergitas untuk konteks operasi gabungan antar matra. Selain itu, Kasad menambahkan bahwa pembangunan kapal ADRI-L sudah sesuai dengan kebijakan pemerintah dalam memberdayakan industri strategis Nasional. Hal tersebut diwujudkan TNI AD melalui Ditbengkangad dengan mengedepankan PT. DKB dalam pembangunan Sarana Angkut Air. 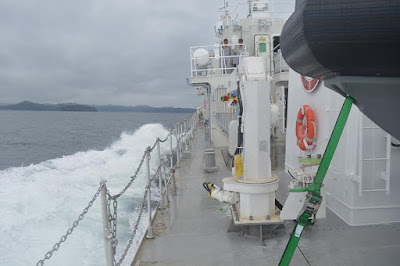 Acara dilanjutkan dengan pengguntingan pita dan pemecahan kendi tanda diresmikannya Kapal ADRI -L. Kemudian Kasad beserta rombongan melanjutkan meninjau secara langsung di dalam Kapal ADRI-L.
Pada Akhir acara dilaksanakan Demonstrasi ketangkasan Kompi Kapal Motor Cepat Yonbekang-4/Air dengan menggunakan kapal cepat membentuk formasi pengamanan droping pasukan dan perbekalan. Hadir pada acara penyerahan Dankodiklat TNI AD, Danpuspomad, Danpusterad, Para Asisten Kasad, Kabalakpus Jajaran TNI AD, para Danpussen, Deputi Menteri BUMN bidang Usaha Industri Strategis, serta staf PT DKB. Today’s announcement of the two shortlisted bidders for the Combat Reconnaissance Vehicle segment of the multi-billion dollar LAND 400 project is no particular surprise. 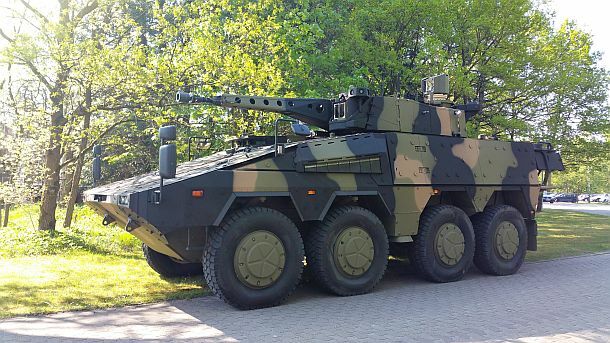 BAE Systems offered a well-proven Patria AMV35 8x8; Rheinmetall came in with another highly regarded vehicle, the Boxer CRV 8x8. 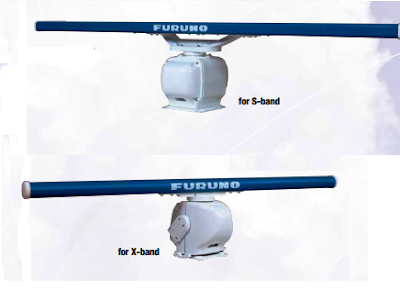 Both are in series production and both offer mature solutions featuring high levels of crew protection. 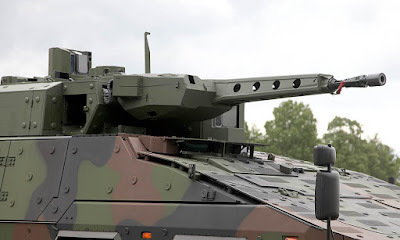 The culling of companies from a competition is always painful – and today both General Dynamics Land Systems along with Elbit and their partner Singapore Technologies will be hurting. Only a few weeks ago, each shipped three of their vehicles to Australia for testing and now will face the expense of taking them back home having only just driven a few kilometres for media and public relations purposes. They will each be out of pocket to the tune of hundreds of thousands of dollars, with little or no chance of reimbursement – and they would be cursing the decision of the Government to delay the shortlisting decision until after the Federal Election. It is too early to write definitively about the reasons for the elimination of two credible contenders as it will be at least a month before they are given their official debrief by the Department of Defence. Having said that, the vehicle being offered by Elbit – the Singapore Technologies ‘Terrex 2’ – does not appear to be in series production and that might have counted against it. The reasons for GDLS missing out with the LAV 6.0 and teamed with local power house Thales are more difficult to fathom. The Army always maintained that it would prefer to shortlist two rather than three bidders to make the task of the ultimate evaluation easier and perhaps GDLS were squeezed out because of that determination. The competition that will now take place will be evenly matched with two strong contenders offering comprehensive local production packages, technology transfer and opportunities for re-export. The ultimate decision will be based on performance – with an emphasis on crew protection – as well as price and industry content. It is perhaps significant that the only Ministerial release today has come from new Defence Industry Minister Christopher Pyne, with nothing to be heard from Marise Payne. The actual names of the contenders are contained in a separate release from the Department. This might indicate that – in keeping with the new policy announced in the 2016 Defence White Paper – the quality and quantity of the Australian industry packages made in the final offers from BAE Systems and Rheinmetall will be the deciding factor. 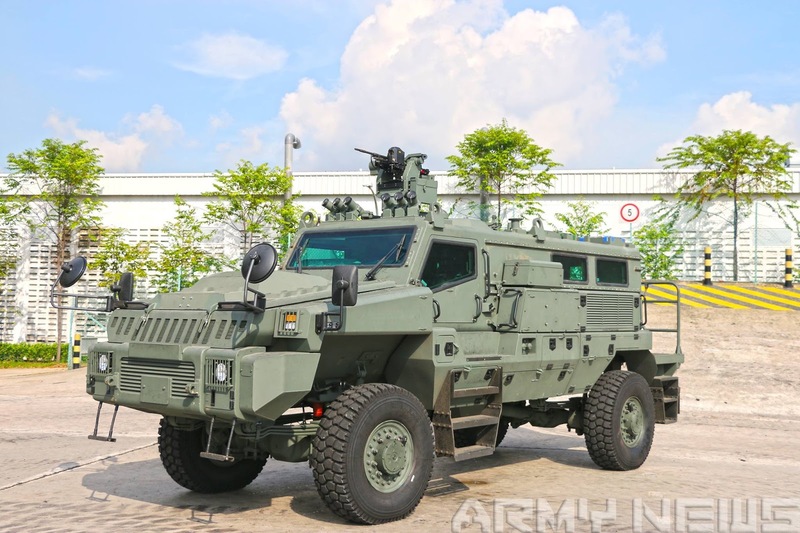 The Singapore Armed Forces (SAF) will soon gain a new protected logistics capability with the planned introduction of the 20-tonne 4x4 Protected Combat Support Vehicle (PCSV) by 2017. Based on the South African Paramount Marauder mine-resistant, ambush-protected (MRAP) platform, the PCSV has been specifically designed to enable logistics units to support the army's motorised infantry combat vehicles in high threat environments. 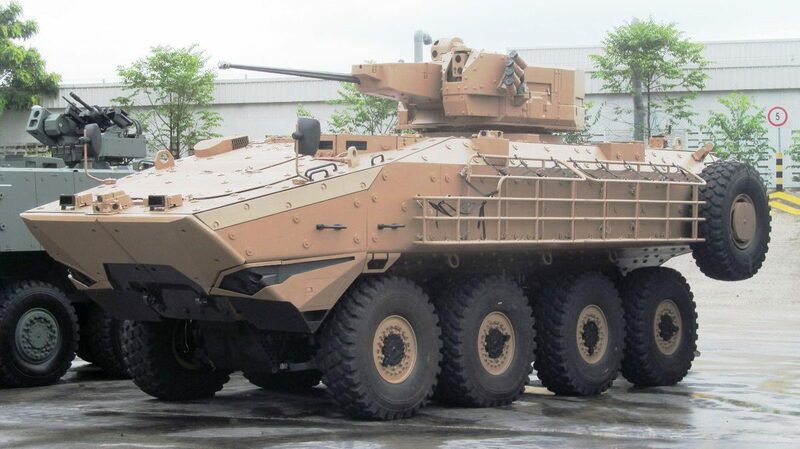 According to official specifications released by Singapore's Ministry of Defence (MINDEF) in late June, the PCSV is operated by a crew of two seated in a protected cabin and features a payload capacity of 4,000 kg or up to eight dismounts. The modular design of the rear compartment enables the vehicle to be configured for a range of missions, with mortar, battlefield casualty evacuation, and resupply variants being planned. 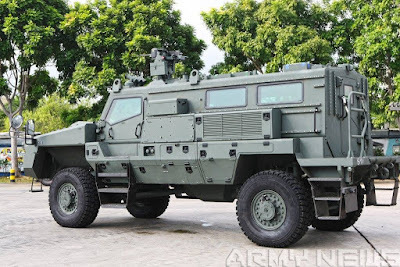 Unlike the present soft-skinned 5-tonne 4x4 MAN military utility trucks that are employed for logistics operations, the PCSV features passive protection against ballistic and mine threats, although the specifics were not revealed by MINDEF. Vehicle self-protection has also been enhanced with a roof-mounted remote-controlled weapon station armed with a 7.62 mm FN MAG machine gun, as well as six smoke grenade launchers. 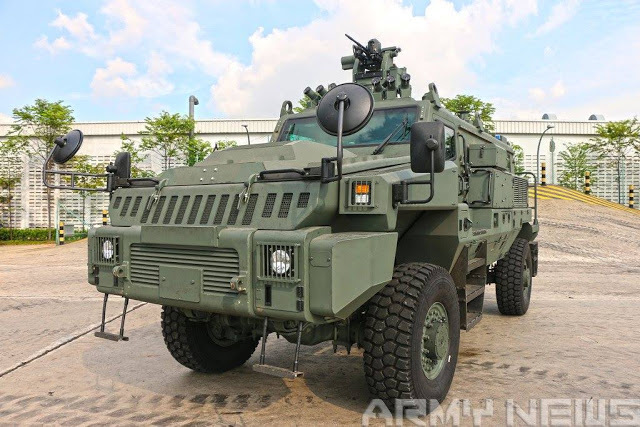 According to MINDEF the vehicle is also equipped with an on-board command and control suite that provides the crew direct access to voice and data communications offered by the SAF's Army Battlefield Internet (ABI) network. This feature enables the PCSV to manoeuvre closely with the army's 8x8 Terrex infantry carrier vehicles for integrated operations. It is believed that 12 PCSVs were transferred to Singapore between 2013 and 2014 for local trials, although MINDEF declined to reveal details on further deliveries. 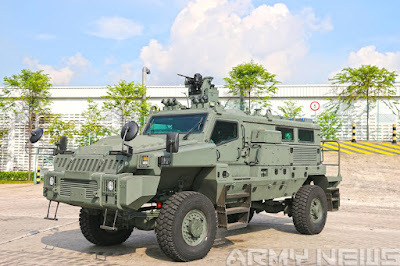 The PCSV programme can be traced back to June 2012, when Singapore Technologies Kinetics (ST Kinetics) - the land systems division of defence prime ST Engineering - and Paramount agreed to jointly promote their respective armoured vehicle products in Singapore and the wider region, including its Terrex and Paramount's 4x4 Maverick security vehicle, 4x4 Matador and Marauder mine-protected vehicles, and 6x6 Mbombe armoured fighting vehicle. Ukrainian defense concern "Ukroboronprom" carried the shipment of another batch of new wheeled armored personnel carriers BTR-3E1 in the orders of the Royal Thai Armed Forces. 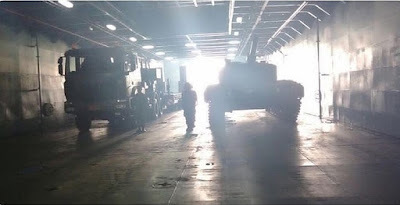 On February 22, 2016 at the Kiev armored plant transfer was carried BTR-3E1 foreign customers according to the intergovernmental contract between Ukraine and the Kingdom of Thailand. Later wheeled armored vehicles were shipped by rail for further loading on the ship. Fighting wheeled amphibious vehicle BTR-3E1 has armored protection, high maneuverability, weapons (from the control complex), is able to quickly identify, recognize, and to strike the ground (including steel) and low-flying targets with high efficiency, and is designed for use in motorized rifle divisions of troops (forces). Armored personnel carrier is able to follow the tanks, with the move to overcome the trenches trenches and water obstacles. Representatives of the Armed Forces of the Kingdom of Thailand made the acceptance of the next batch of tanks "Oplot-T", the second time this year - made Kharkov now under the "Thai contract." This was reported on the official website of the "Malyshev Plant". The process of examination and testing of machines took place in two stages. According to a report on the site of the plant, first in the assembly shop of the enterprise, which had been approved by the "ready for battle" of the machine and confirmed their settings - at work benches. And then - have been tested new "Oplot" in landfill conditions, where foreign customers are presented with all the features and advantages of the combat unit. Showcased unique driving characteristics of the tank, its protection, fire control system, including the possibility of navigational support and endurance under extreme conditions. All tactical and technical characteristics of the machines have been fully confirmed. Faced crews task - performed on the "excellent". Counterparty fully satisfied with the result - the reception was successful. Customer noted the excellent quality of the combat vehicle - signed a protocol of delivery of finished products. 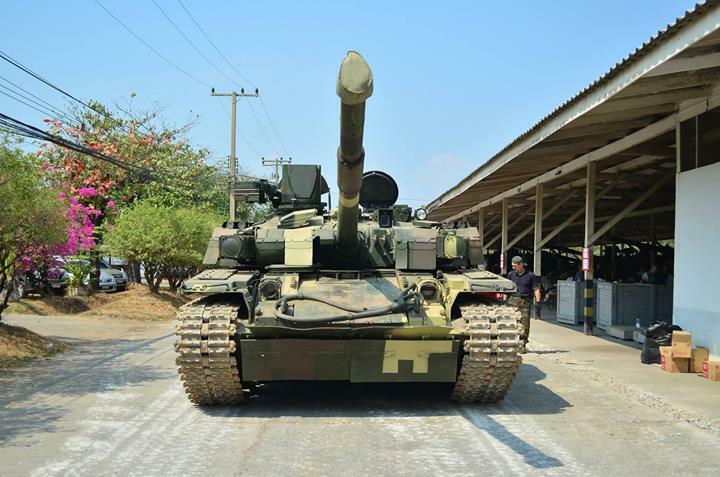 Part of tanks for the needs of the Armed Forces of Thailand is fully ready to be sent, which is scheduled in the near future. Also, the company already is in the process of manufacturing the next batch of MBT "Oplot-T" in the framework of this contract - with the aim to perform the supply as soon as possible. Pekanbaru, Riau (ANTARA News) - Satu flight pesawat tempur F-16 Fighting Falcon dari Skuadron Udara 16 TNI AU yang bermarkas di Pangkalan Udara Utama TNI AU Roesmin Nurjadin, di Pekanbaru, Riau, terbang ke Australia untuk berpartisipasi dalam latihan bersama Pitch Black 2016, di Darwin, Rabu (27/7). Komandan Pangkalan Udara Utama TNI AU Roesmin Nurjadin, Marsekal Pertama TNI Henri Alfiandi, di Pekanbaru, Rabu, berpesan, "Tetap utamakan keselamatan serta keamanan, cek dan ricek dengan detil setiap persiapan yang dilakukan agar latihan dapat berjalan dengan aman, lancar dan tanpa kendala hingga nanti kembali ke pangkalan." 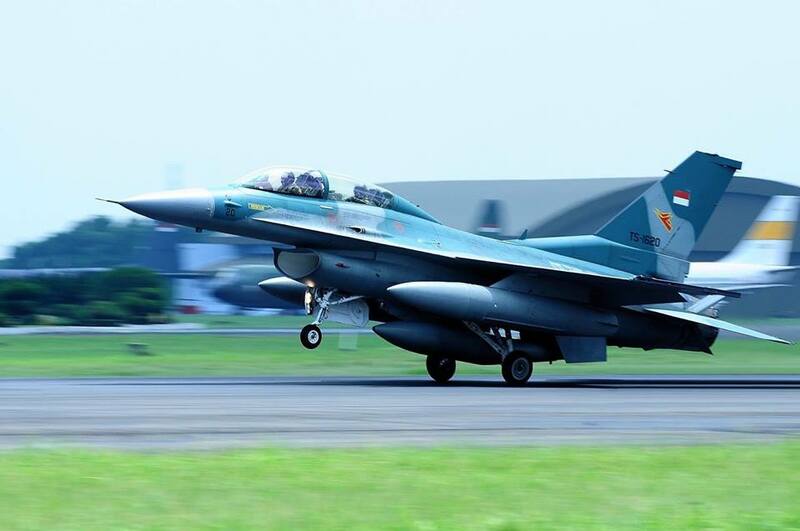 Satu flight F-16 Fighting Falcon Block 52ID itu dipimpin Komandan Skuadron Udara 16 TNI AU, Letnan Kolonel Penerbang Nur Alimi. Dia lepas-landas dari pangkalan udara TNI AU dengan memimpin lima pesawat tempur F-16 dan 62 personel dari Skuadron Udara 16 TNI AU. Lima pesawat itu meliputi 12 penerbang serta 50 personel pendukung akan mengikuti latihan yang direncanakan mulai 1 Agustus mendatang. Latihan bersama ini melibatkan beberapa negara dengan berbagai jenis pesawat tempurnya. Skuadron Udara 16 TNI AU diproyeksikan berkekuatan 24 pesawat terbang F-16 Fighting Falcon Block 52ID. 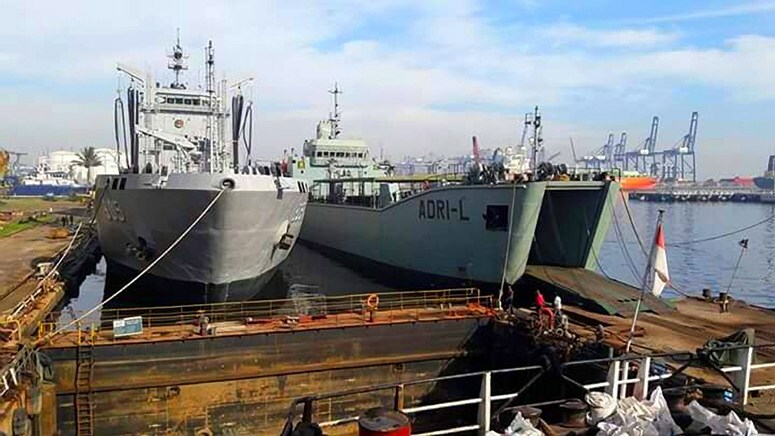 KUALA LUMPUR : TH Heavy Engineering Bhd (THHE) said it is in preliminary discussions to secure an offshore patrol vessels supply contract, following a report by The Edge Weekly on Monday. In a bourse filing, THHE said it intends to capitalise on the strategic location and resources of its fabrication yard and will continue to pursue all opportunities related to the upstream oil and gas business, and also diversify into downstream and other non-oil and gas businesses. It said this includes marine vessel building and repairs. 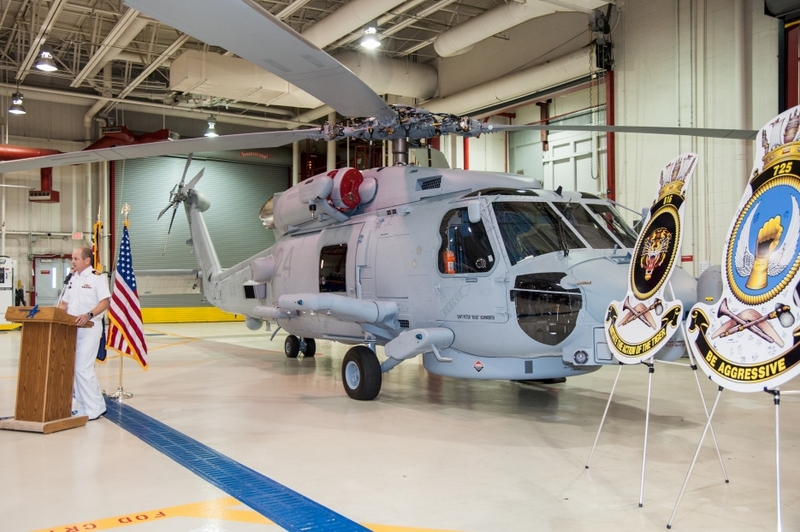 “In this respect, the Company states that it is in preliminary discussions with the relevant government agency to secure a contract for the supply of offshore patrol vessels. “However, at present moment due to the preliminary nature of these discussions, the terms of the contract remains to be negotiated and is in a state of flux and therefore, the Company will be making appropriate announcements (if any) when the time materialises,” said the group. On Monday, the group was issued an unusual market activity (UMA) query by Bursa Malaysia on the spike in its share price and trading volume, with the counter closing 4.5 sen or 39% higher at 16 sen, amid some 133.2 million trades. In a response to the UMA today, the group said it is unaware of any other possible explanation for the trading activity, while highlighting the recent coverage by The Edge Weekly. “Save for ongoing and preliminary discussions between the Company and the relevant government agency referred in our earlier announcement with regard to an article published by The Edge on 25 July, 2016, we are not aware of any other material corporate development relating to the company and its subsidiaries’ business and affairs that has not been previously announced that may account for the trading activity, including those in the stage of negotiation/discussion,” it said. The Edge Weekly reported that THHE is understood to be close to securing a contract, valued in excess of RM700 million, to build at least two boats for the Malaysian Maritime Enforcement Agency. The contract, which has been negotiated for some time, could be a life-line for THHE, according to the report. At 12.30 p.m. today, THHE was the top actively-traded stock on the exchange, with some 58.5 million shares done. The counter gained 0.5 sen or 3.12% to 16.5 sen, bringing its market capitalisation to RM179.37 million. BRP Andres Bonifacio prospective commanding officer Captain Brendo J. Casaclang and his crew will undergo training on how to operate the ship’s systems before starting their voyage home by October, Navy acting public affairs office chief Cmdr. Marineth Domingo told the state media. BRP Andres Bonifacio is expected to arrive in Philippines November. She currently has a sailing crew of 90 officers and enlisted personnel. BRP Andres Bonifacio is a former Hamilton-class cutters serving under the United States Coast Guard. She was transferred, July 21, through US EDA program which facilitates transfer of defense assets no longer needed and declared excess by the US Armed Forces to foreign governments or international organizations at reduced or no cost to eligible foreign recipients on an “as is, where is” basis. 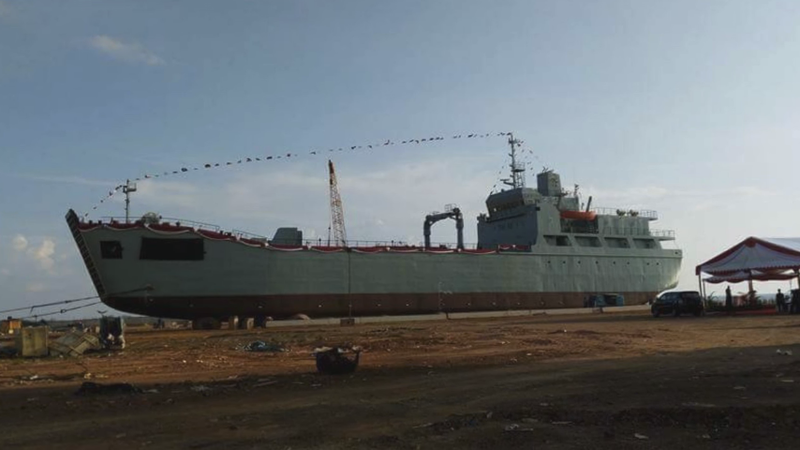 She is now a Del Pilar class frigates under the Philippine Navy. 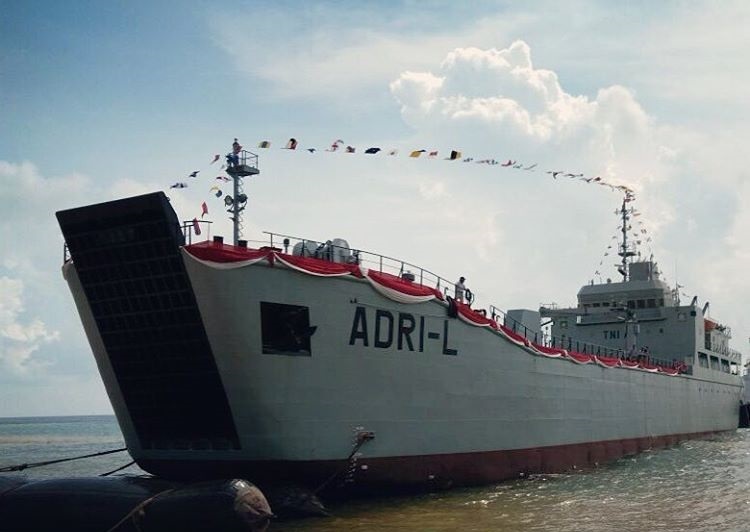 “BRP Andres Bonifacio (FF-17), just like the other two Del Pilar class frigates, will boost the PN’s capability to address maritime security concerns and will add up an additional vessel for sovereignty patrols,” Cmdr. Domingo said. The US Coast Guard said BRP Andres Bonifacio is an $8 million grant, but the Philippine Navy will be investing $16 million to modernize and outfit the cutter in the US as part of the transfer program. BURNABY, BC --- OSI Maritime Systems (OSI) announced the signing of a contract to supply new radar as part of the RNZN ANZAC Class Frigate Systems Upgrade (FSU) Project. The FSU Project is for the upgrade of surveillance, combat and self-defence capabilities including radar. The new radars will be replacing the previous X-band radar with Furuno FAR-3000 series radars. The two X-band radars will be controlled using OSI’s Radar HMI software module and which combines the video from both radars to give uninterrupted 360° coverage. The radars will be fully integrated into the OSI integrated bridge system which was supplied to the RNZN as part of the previous ANZAC Class Platform System Upgrade (PSU) Project. 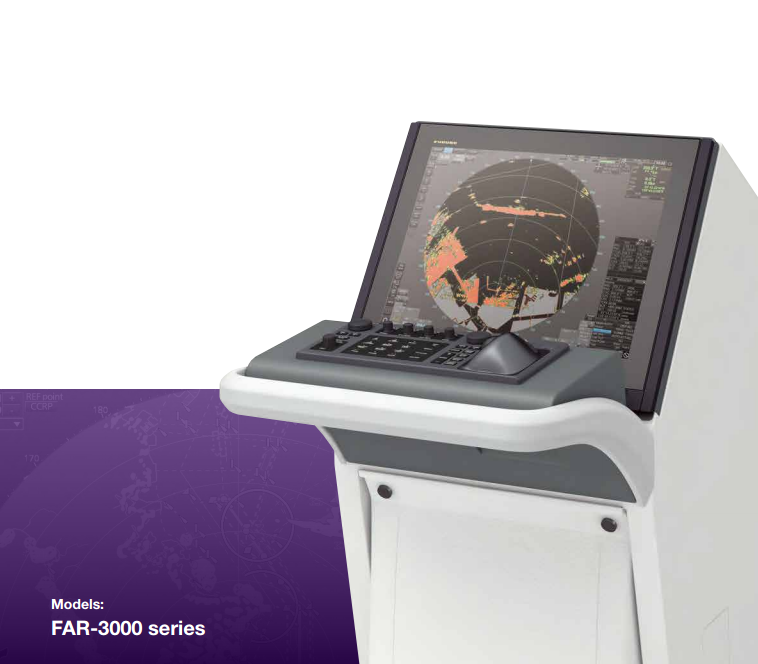 The Furuno radar represents one of a number of radars that OSI has successfully integrated into its Integrated Navigation and Tactical System (INTS), and affirms OSI’s position as a “sensor agnostic company”. 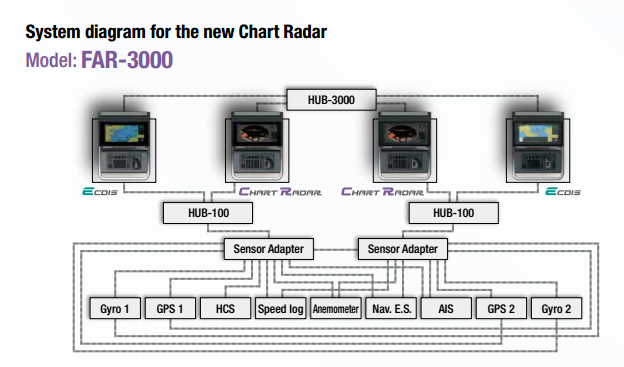 In addition to radar, OSI will also be integrating a new inertial navigation system into the ships’ INTS. 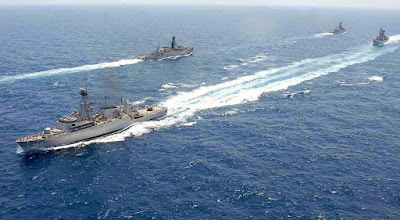 OSI has been proudly supporting the RNZN a fleet wide operator of ECPINS® Warship for over fifteen years. OSI Maritime Systems has been providing advanced integrated navigation and tactical solutions to military customers for over 20 years. The company develops and delivers integrated bridge systems for warships, integrated dived navigation systems for submarines, and C2 systems for small craft. 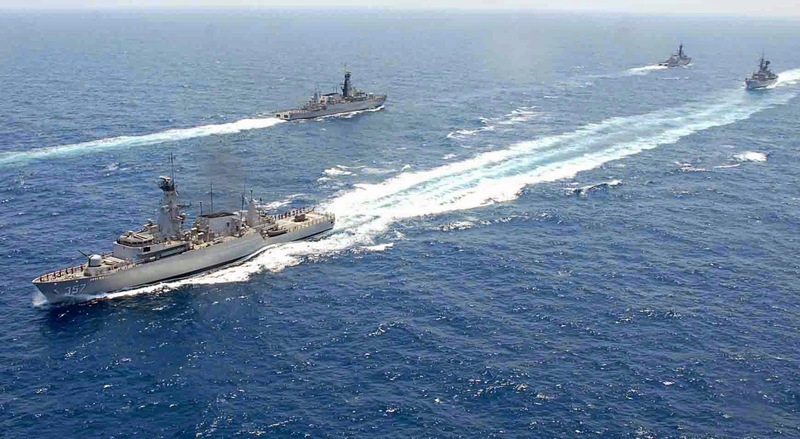 OSI currently has 20 naval customers from around the world with over 600 warships and submarines operating with its world leading integrated navigation and tactical solutions. 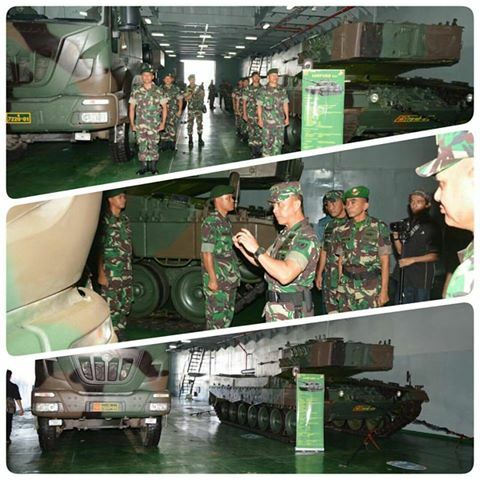 Setelah sukses dalam uji coba pemuatan tank Leopard 2 ke kapal LST Teluk Bintuni 520 di dermaga Kolinlamil TNI AL, Pasukan Kostrad TNI AD juga melakukan uji coba pemuatan tank Leopard 2 ke kapal LCU (Landing Craft Utility) milik TNI AD. 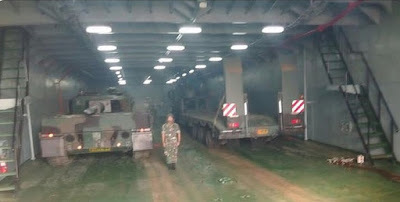 Berbeda dengan KRI Teluk Bintuni 520 yang bobot mati 2.300 ton dan didesain untuk dapat menampung 10 tank tempur utama sekelas Leopard 2, maka LCU ADRI X (nomor 50) mempunyai bobot mati separohnya saja yakni 1.200 ton dan didesain untuk dapat mengangkut 6 tank tempur utama sekelas Leopard 2. Kapal LCU ADRI L memiliki panjang 79,50 meter, lebar kapal 14.00 meter, total beban 2.400 ton, dengan mesin penggerak 2×1500 hp dapat berlayar dengan kecepatan maksimum 12 knot, Kapal ini dapat membawa enam tank Leopard 2A4 dan satu tank transporter. 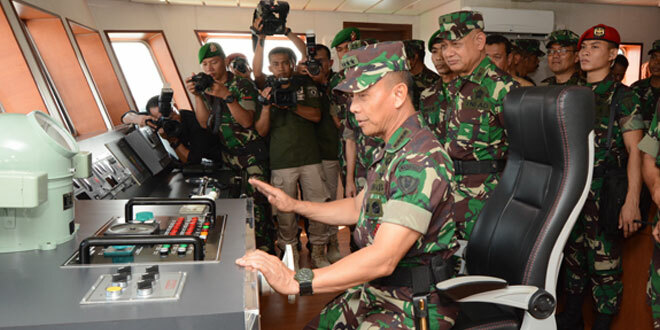 ADRI L merupakan kapal terbesar yang dimiliki TNI AD, operasional kapal ini dilakukan oleh Direktorat Pembekalan Angkutan TNI AD (Ditbekang TNI AD). Kapal ini dibuat oleh galangan DKB/PT Dok & Perkapalan Kodja Bahari (Persero), merupakan galangan hasil merger (pengabungan) dari 4 (empat) industri galangan kapal : PT Dok & Perkapalan Tanjung Priok (Persero), PT Kodja (Persero), PT Pelita Bahari (Persero) dan PT Dok & Galangan Kapal Nusantara (Persero). 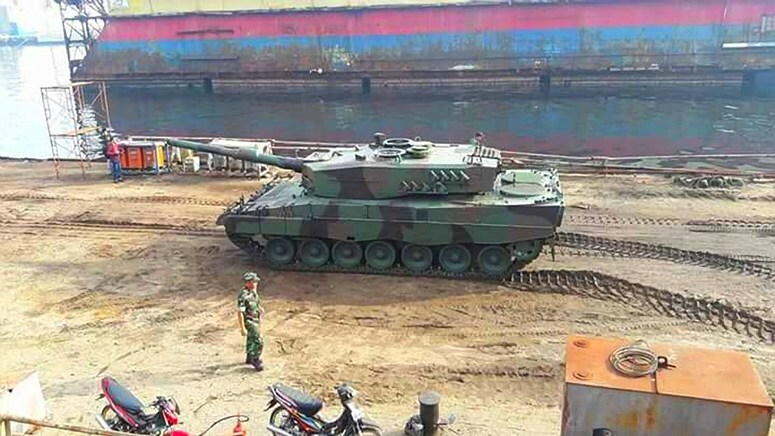 Tank Leopard 2 merupakan tank terbesar milik TNI, karena bobotnya yang mencapai 62 ton maka untuk sarana transportasi antar pulau digunakan dua tipe kapal yaitu LST milik TNI AL dan LCU milik TNI AD. Total sudah 4 LST sekelas KRI Bintuni yang dibangun, 2 di galangan DKB dan 2 di galangan DRU, sedangkan kapal LCU baru satu yang dibangun. Delapan Helikopter Bell 205 TNI AD "Dikandangkan"